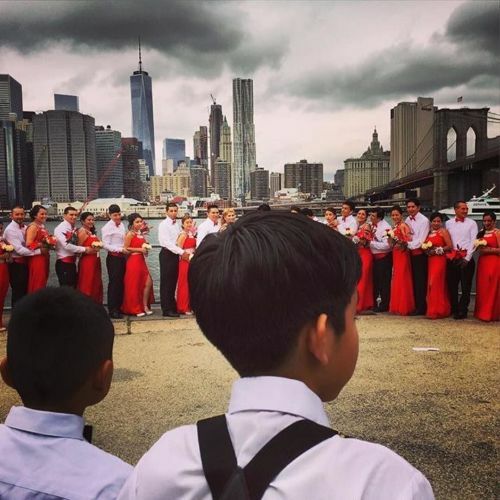 "A wedding party posed for photographers at Fulton Ferry Landing under stormy skies on Saturday. #regram from @ericlau_street, a participant in the #NYTPhotoHunt. We sent @photovillenyc attendees on a scavenger hunt for photos in Brooklyn Bridge Park. We'll post more of their findings here today. @photovillenyc runs through September 20 in @brooklynbridgepark. On Thursday, @nytimes will project a slide show of photos featured on the #lensblog." By nytimes on Instagram.